Greg Stafford, designer of classic role-playing games like Pendragon and RuneQuest, has passed away at age 70. In the early '70s, Stafford created the world of Glorantha, in which many of his works would be set. 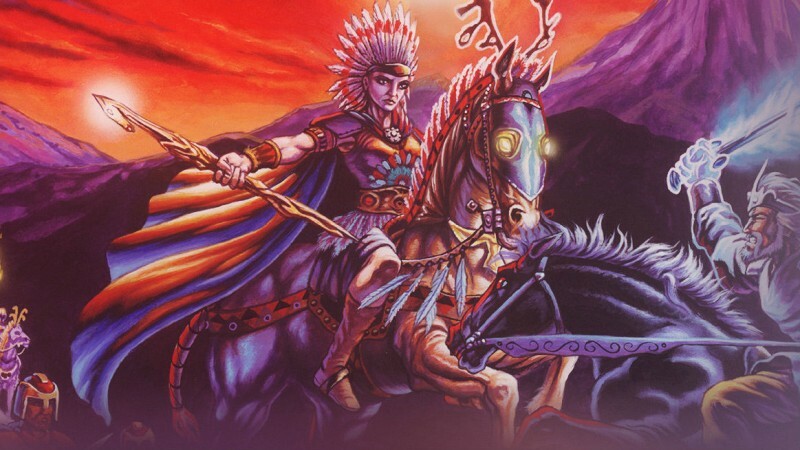 Over the years, he created many roleplaying and board games set in Glorantha, including White Bear and Red Moon, Nomad Gods, RuneQuest, and HeroQuest, as well as a few fantasy novels. To publish his own work, Stafford created the company Chaosium in 1975, and would later go on to found Issaries, Inc after leaving the Chaosium, then returned to the latter in 2015 as a chair of the board. Stafford also helped publish The King of Dragon Pass, a classic role-playing video game also set in Glorantha, developed and published by A Sharp and first released on PC and Mac in 1999 re-released in 2012 and later ported to iOS and Android to acclaim. A practicing Shaman, Stafford passed away Thursday at his home in Arcata, California. Our condolences go out to Stafford's family and friends.